Sorry ladies, I got taup-ally happy with my Yves Rocher ordering didn’t I? This is the last one… I promise (until the next time). You’ll be pleased to hear that this one was also the cheapest, and I didn’t have much hopes for it… but I think it’s my favourite! #71 Gris Taupe is a densely pigmented shade with a satin finish. 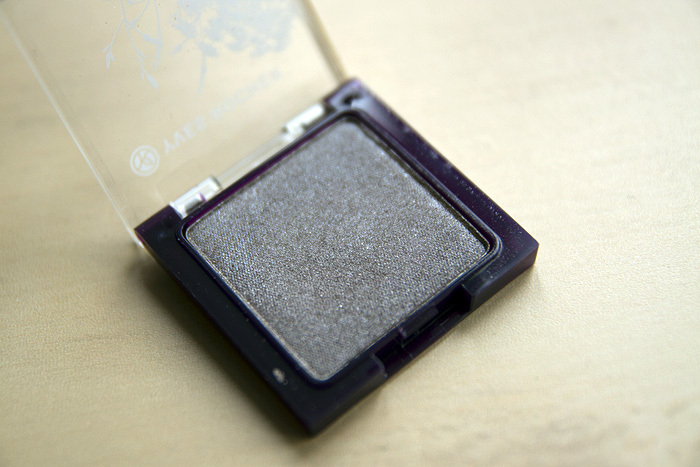 So many times, cheaper powder eyeshadows lack any creaminess and feel gritty or hard to the touch. This one has all the textural qualities you’d expect from a product twice the price. Packaging is horrible though, this one’s definitely a depotter, though I do like a neat square pan in a depotted palatte, so it’s all good! 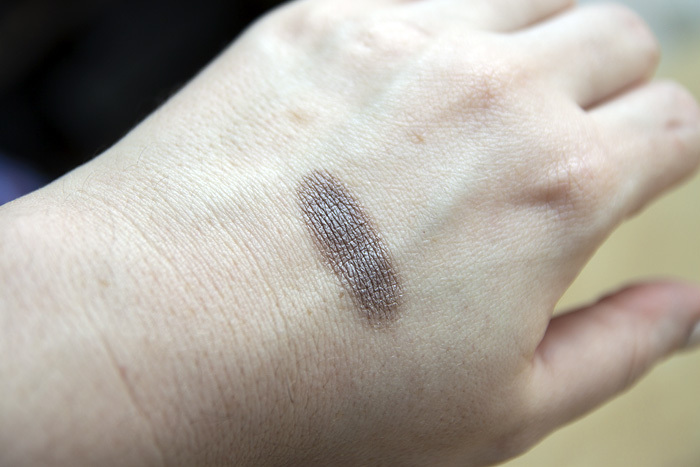 You can see in the swatch photo that the taupe definitely leans to the grey and is fairly neutral in tone, the silver highlight is very pretty and gives a nice ethereal sheen to the eye area once applied. Longevity is average, and I prefer to apply this one with my finger for a gentler effect as it is quite deep in pigment otherwise. Yves Rocher Taupe Gris is priced at £8 on a buy-one-get-one-free offer (YR seem to change their prices more often than I change my knickers). You can buy Taupe Gris online here. I’m a taupe freak, myself…so I really enjoyed the oggle.